Is a regional bike share program gaining traction? FAIRFIELD — A pilot bike share program has proved successful, but town officials are looking to see if a permanent, regional program should replace it. The free bike share program is in the third and final year of the pilot program and is scheduled to end next spring. She said it is because the pilot program will be ending that they are exploring other options. A survey for residents, which asks questions to gauge interest in a bike share program, can be found online at https://gbt.wufoo.com/forms/bike-share-survey. “What are we going to do after this ends,” Jaronka said. “We thought a regional approach was one idea.” Other towns participating would be Trumbull, Monroe, Bridgeport and Stratford, along with the Greater Bridgeport Transit Authority and MetroCog. Jaronka said they are keeping a close eye on Hartford and New Haven, both of which have started their own bike share programs. In Hartford, it is a dockless program, while in New Haven, the bikes are retrieved and returned to a docking station. Lime, a dockless bike share company, operates in the outer boroughs of New York City, while Citi Bike, a docked system, serves Manhattan, Brooklyn and Queens. The survey asks residents if they would use a bike share program, what they would use the bikes for, if they preferred a docked or dockless system, or even a hybrid, and if they want bikes, electric bikes or even electric scooters. A hybrid model would used existing bike racks around town. In all cases, Jaronka said, there would be no cost to the town. The vendors, who would charge users, would maintain the bicycles. 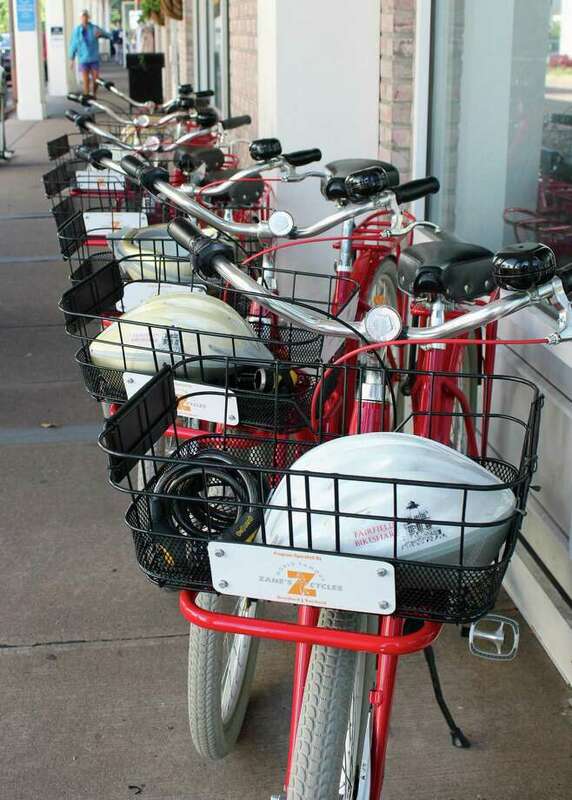 Under the town current bike share program, 10 3-speed, custom-designed bikes are available at Zane’s Cycles, 1215 Post Road, during the shop’s regular hours. There is no charge, and the bikes are available to both residents and non-residents. The program began with seed money from a state health services block grant and was initiated by the Health Department and the Fairfield Public Library. It is sponsored by Fairfield and Sacred Heart universities, and Sam Connor, the store manager at Zane’s, said it’s proved quite popular with residents. “The summer is the time when we’ll have all of them gone for the whole day,” Connor said, and there are a couple residents who use the bikes on a regular basis. He said the biggest demands is on summer weekends, and users are a mix of young people and adult. “At this point, it’s certainly more residents then people from out of town, though there are plenty of out of town people using them,” Connor said.